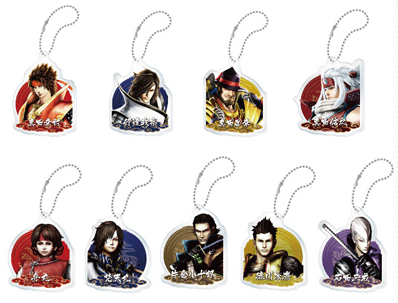 A ten-piece Sengoku Basara: Sanada Yukimura-den tin badge collection for ¥3,500 before tax. 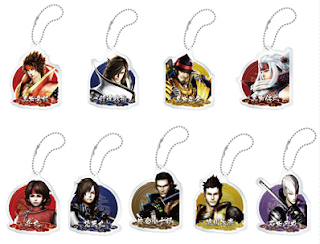 It's scheduled for release on 25th August 2016 and the characters featured are the playable cast of the game along with some of the more popular NPCs. 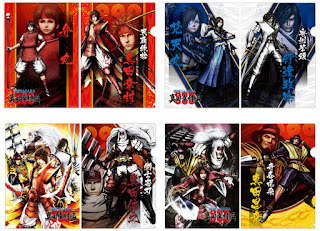 Four Sengoku Basara: Sanada Yukimura-den clear files, available as a set for ¥1,400 before tax or separately for ¥350 each (Yukimura, Masamune, Nobuyuki, Masayuki). The release date for the clear files is 25th August 2016. 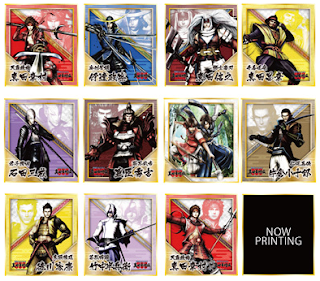 A set of twelve mini shikishi illustrations for ¥5,400 before tax. They're scheduled for release on 29th September 2016 (if you want to buy them separately, blind-boxed versions should be available from hobby stores in Japan). 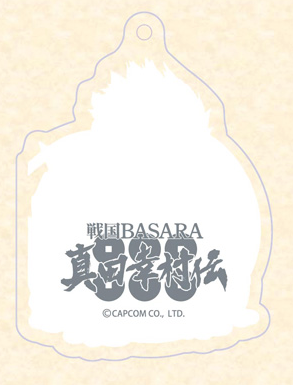 One design is unrevealed - apparently not because it's specifically planned as a secret, but simply because they're not publishing the preview shot yet. They have the new illustrations from last Thursday as part of the range and a fairly broad selection of the game's characters. The illustration boards look like this up close. Last but not least, there's a set of ten Sengoku Basara Sanada Yukimura-den acrylic key holders for ¥5,000 before tax. They're also due for release on 29th September 2016. Again, one design is deliberately unrevealed - though there's a hint in the form of a close up of how it looks. Seriously though, if it is Sasuke, I wonder what's with the band thing coming off the side of his head... maybe it's his shuriken? New evidence suggests that it might well be the back of the Yukimura (Phoenix) one so I'm now super disappointed (lol). 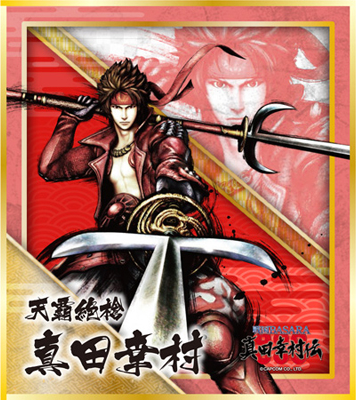 I was really hoping it was his shuriken, but although I compared with one of the Yukimura outlines I didn't consider the Phoenix version. Darn!